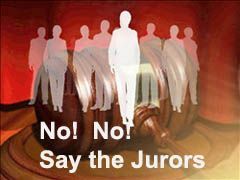 The LA Times reports that jurors are telling judges they won't convict defendants in small marijuana cases. The article focuses on a recent trial in Montana. One juror said she'd have a problem convicting the defendant. A second said she couldn't do it.